Nigel Sinclair and Guy East have formalised their departure from Exclusive Media, the company they ran for close to six years as co-chairmen. 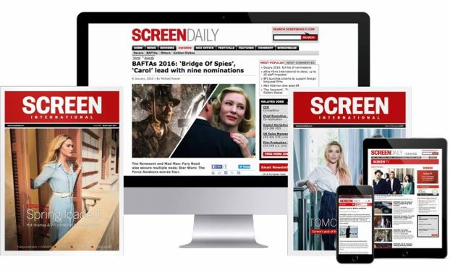 Exclusive Media COO Marc Schipper will run the company as CEO in a move first anticipated by ScreenDaily during the recent EFM in Berlin. It is understood the international sales unit led by Alex Walton is well regarded and will remain operational and that Dasym is also holding on to the Hammer genre division run by Simon Oakes out of the UK. Exclusive Releasing remains on the books however its future profile was unclear. Sources said Sinclair (pictured), who also previsouly held the title of CEO, and East are preparing to announce their new production entity White Horse Pictures and will take with them several Exclusive Media titles, among them the Young Caesar property. The companies will collaborate on the Keith Moon film as Sinclair is a producer, however insiders believe there will be no official producorial or supply partnership between White Horse and Exclusive Media. Sinclair and East did not return calls. Their departure comes in the wake of the disappointing global performance of Rush — one of several productions that fell below expectations — but was most likely set in motion by the financial ramifications of what had been a top-heavy company that tested the patience of prime backer Dasym Investment Strategies, the investment vehicle of Dutch mogul John de Mol. In the run-up to the EFM, ScreenDaily was the first to report on the potential impact of both factors. Warner Bros recently assumed worldwide distribution on the Whitey Bulger project Black Mass. Sinclair and East were also known to be keen to return to their producing roots without the distraction of broad management obligations. East continues to be heavily involved in the upcoming Exclusive Media production Dark Places starring Charlize Theron. Liam Neeson-starrer A Walk Among The Tombstones, financed jointly by Exclusive Media and Cross Creek Pictures, is on the runway for a release through Universal on September 19. Lionsgate will open The Quiet Ones on April 25, while TWC opens Begin Again, the Toronto hit formerly known as Can A Song Save Your Life?, on July Fourth weekend. Woman In Black: Angel Of Death is in post production. During their time at Exclusive Media, Sinclair and East enabled a pipeline that generated the Hammer smash Woman In Black as well as a number of admired titles such as End Of Watch, Snitch and The Ides Of March.